"Come one, come all for what promises to be a great Goldsprints! 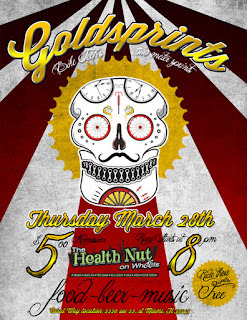 We will have our 500 meter sprints along with great food from The Health Nut on Wheels, drinks, and music. We will be hosting the sprints at our Coral Way location. Ride your bike there and get in free!"